This October the Guys in Blue wanted to help out for Halloween, so they treated hundreds of families across the Los Angeles, Orange, San Bernardino and Riverside Counties with free pumpkins! 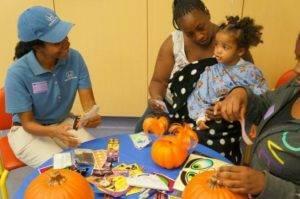 Beyond the pumpkin patch, the Guys in Blue also brought Halloween festivities to kids in local hospitals. 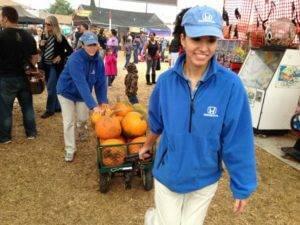 They showed up with a variety of goodies, including pumpkins, complimentary costumes, and more. After setting up rooms with Halloween treats and décor, team members stayed to decorate pumpkins with the kids and their parents. 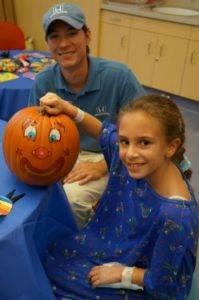 Events were enjoyed at Children’s Hospital of Orange County (CHOC Children’s), Miller Children’s Hospital Long Beach, Maxine Kunitz Children’s Health Center at Cedars-Sinai, Huntington Hospital (Pasadena), Mattel Children’s Hospital UCLA, Riverside County Regional Medical Center, Ventura County Medical Center and SAC Health System (SACHS) in San Bernardino. Why? It’s simply our job to be Helpful, no (spooky) strings attached. 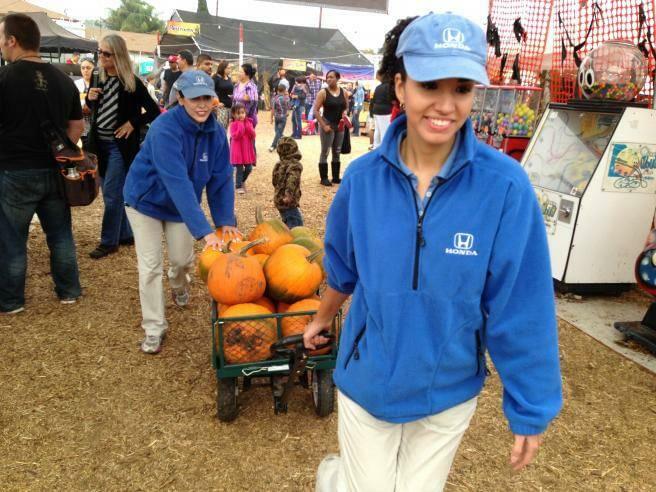 For helpful tips and information about our upcoming Helpful Holidays, follow us on Twitter @HelpfulHonda and ‘Like’ our Facebook page: facebook.com/socalhondadealers.